You may ask yourself what a woman in her twenties is doing wearing a scrunchie to work. She may seem tremendously out of place in the office, seemingly younger than she actually is. You may think she’s struggling in her young adult life (not wrong) and the obnoxious hair accessory is a coping mechanism. That young woman is me. I proudly wear scrunchies to work. I wear them everyday if I need to. And if they’re not in my hair, they’re on my wrist like some wannabe bracelet. 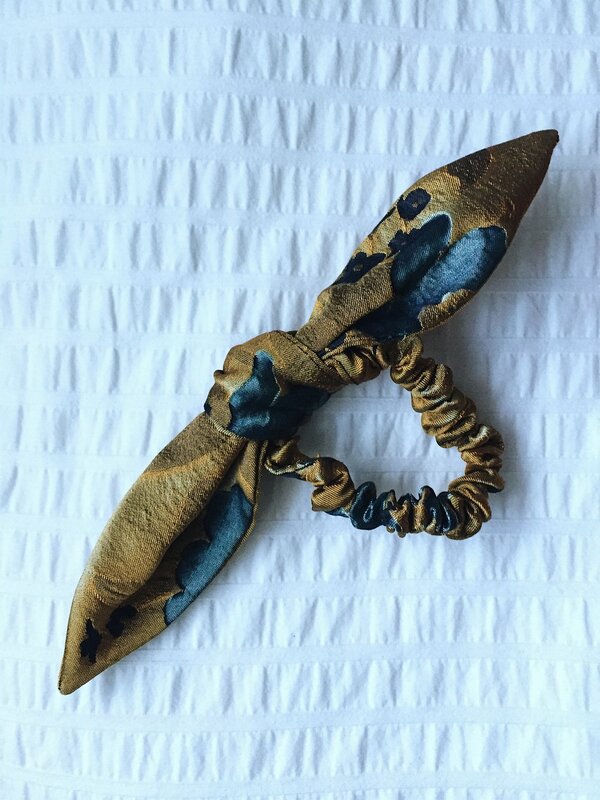 Nothing makes me smile more than the deliciously bulky top-knot on my head, held together but one of my many, many scrunchies. My collection dates back to my days of baby ballet. 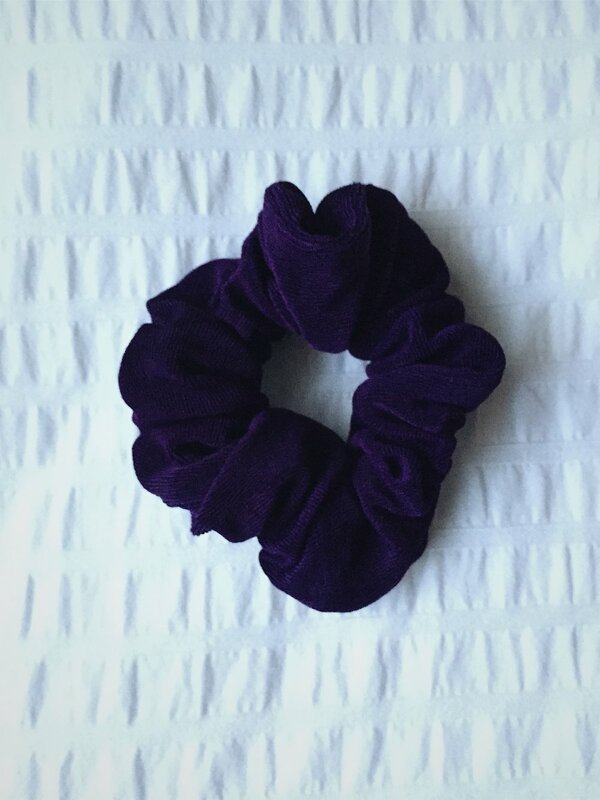 Every time I would go to the ballet shop to pick up new ballet shoes or tights, I would beg my mom to let me pick out a new scrunchie. They only cost a dollar anyways and were always conveniently positioned right beside the cash register. 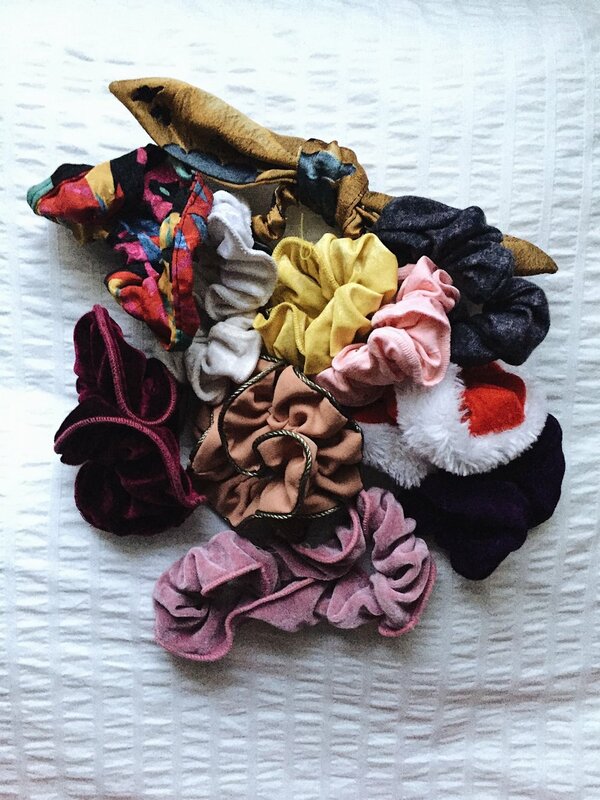 I was hypnotized by the allure of the sparkles, gemstones, crushed velvet, and sheer beauty found in the never-ending basket of scrunchies. From my childhood, only the best have survived. Some were stolen by jealous ballet dancers, one was accidentally flushed in the toilet, and some even got lost amidst the chaos of growing up. Since their recent resurgence in trendiness, I’ve added some new ones to my collection. They’re less gaudy and a little more appropriate to wear to work. For now, the pink sparkly one will have to sit in my collection like the pretty little artifact that it is. Without further ado, I present to you my infamous collection!